I can’t get worked up over CGI action. It just doesn’t do it for me. When there’s nothing resembling a human involved, no basis of recognizable physics, and no real damage at stake – it’s just pixels on a screen – why should I care? This past weekend I saw John Carter in 3D on a huge Imax screen clocking in at more than two hours of mammoth battles of green, four-armed Tharks, flying ships broad siding in mid-air, and tattooed Heliumite humanoids locked in spectacular conflict for rule over the planet Mars. A lot of sound and fury, signifying nothing. Yawn. 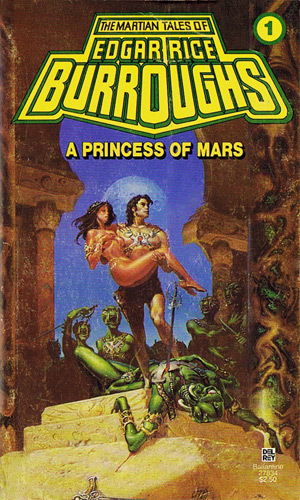 Why is it that I was thrilled about this stuff when I read it in Edgar Rice Burroughs’ novel A Princess of Mars more than 40 years ago, but watching it on the big screen didn’t even get my pulse going? No matter how much I tried to summon that inner 10-year old spirit of awe and wonder, the only thing my outer year-old was wondering was how much longer this would go on. Is it just me? Am I incapable of being excited by action on the screen anymore? 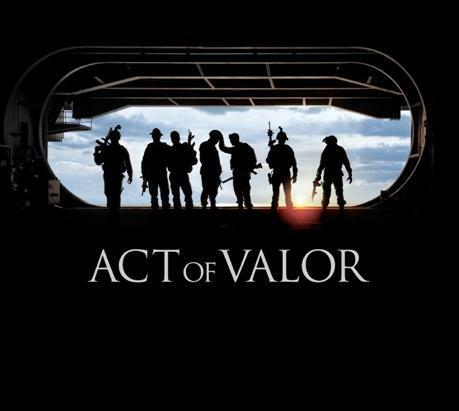 The very next day I saw Act of Valor with my 15 year-old son about an elite Navy Seal team engaged in firefights and rescue missions across the globe and I felt real tension, an accelerated heartbeat, and action that gripped me. For starters, there were actual human beings involved: My species. Well, to be honest, the cast were an actual Navy Seal team of emotionless, hyper-trained athletes, so it’s a stretch to include me in the same ‘species,’ but we still share a considerable portion of similar DNA. I’m closer to them than a guppy. They were also involved in action I could reasonably believe in, knowing the world we live in today. The guns were real. I read somewhere even the ammo was real. And though I assume the blood-splattering injuries weren’t – the depictions of what high velocity automatic weapon fire can do to a human – which is mess you up big time – was realistic. There were real and plausible consequences to the action, even if the story was entirely fictionalized. There is nothing plausible to me about CGI action anymore. I’ve seen a real train wreck on the news and in historical films. I studied train wrecks for a screenplay I was heavily researching. The train wreck in Super 8 had nothing remotely to do with physics or reality. It might has well have been featured in a Road Runner cartoon. The train wreck in The Fugitive used a real train, and cost more than $1 million. It may not have flown three hundred feet in the air when it crashed off the rails, but that sound you heard, and the thud you felt and the images you saw were reality-based. Maybe they jacked up the sound, sped up the image, utilized multiple cuts to draw out the action, but it all came from a real stunt. And now, for many films, they’ve gone and replaced the most sacred action sequence of all with fake action; the car chase. Inexcusable. Why should I ever care about a car chase without real drivers or real cars that defies all physics and where nothing real is at stake? If I wanted that I can play Grand Prix 5 on Xbox. Stunt drivers trained for years and risked their lives to create fantastic chase sequences in films such as The French Connection, Bullit, Ronin, and The Italian Job (1969 version). The screech of the tires, the flying hubcaps, the ripping metal, the danger to the driver – was all very real and palpable to the audience. You felt it through the screen. I completely understand a studio trying to cut costs and yet still deliver a thrill ride to customers by substituting computer-generated images for real stunts. And it works for me sometimes when the movie has wizards in a stylized universe with extra powers, such as Harry Potter. But when you are using CGI for action that involves everyday things and dynamics we are familiar with such as humans, cars, and guns, there’s just no substitute for real stunts. What does it say when the only place you see a real stunt anymore is on a lame reality show like Fear Factor? We used to see films about oversized monsters like Godzilla chewing up the scenery, and our inner or outer 10-year old was thrilled. We weren’t that savvy about Hollywood techniques and could be dazzled by primitive special effects. When they weren’t just created on a keyboard, there was something innovative and truly ‘special’ about them. Today’s movies have a different green monster swallowing up all natural reactions from an actor and chewing the scenery up with fake images: It’s called a green screen. You are currently browsing the Hollywoodaholic blog archives for March, 2012.